At the end of the novena the Madonna appeared very happy but the most beautiful thing was that when she came, she came with many Angels, small and large.We have always noticed that when Our Lady arrives with the Angels, if she is sad even the Angels are, but if she is happy their expression of joy is even more intense than that of Our Lady. Marija: Our Lady always asks us to live the messages she gives us. She does not want to make us dependent on the messages, but calls us to be joyful bearers of her word and invites us always to be good Christians. 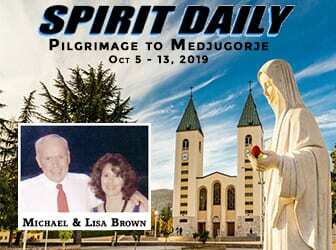 The Virgin gives us the opportunity to come to Medjugorje and start a new life; that is why she chose us and I wish, with my testimony, to help you immerse yourself in the grace of Medjugorje. As a witness to Our Lady, I wish to help you to enter this grace especially as we live this jubilee year that the Church gives us, which gives us God. Q. 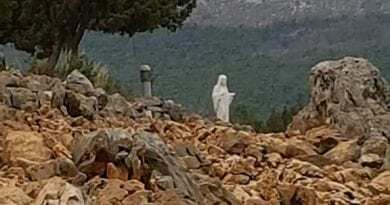 Our Lady is still present here today, although many ask: what does she come ?, why does she look so long ? Marija: “I always say: Our Lady loves us and therefore she is with us and wants to guide us on a concrete path, the path of every Christian; not of a Christian who died, but of a Christian who has risen, who lives with Jesus day by day. Once a Pope said that if a Christian is not a Marian, they are not a good Christian; that’s why my desire is to make you fall in love with the Madonna thinking of those moments when we fell in love with her. 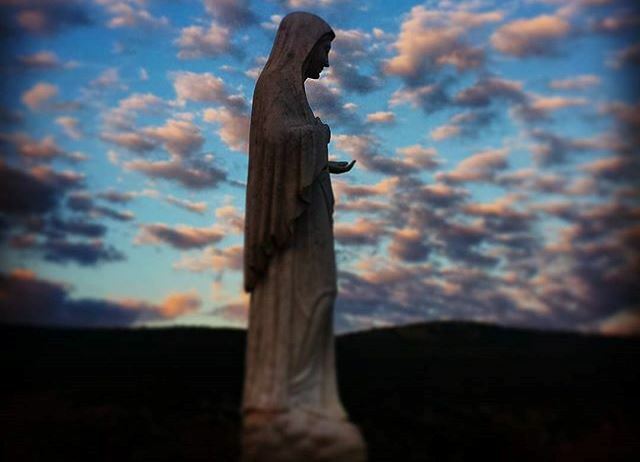 I remember that once Our Lady asked us to offer them for nine days a few hours of prayer during the night and so we went on the hill of apparitions and at 2.30 you appeared. During those nine days, we, together with other people, offered the novena according to Our Lady’s intentions. Our Lady appeared at 2.30 but we and the people gathered there still there to thank her. Since we did not know many prayers we had decided to say, each one, a our Father, a Hail Mary and a Glory to the Father; in this way we spent the night until 5 or 6 in the morning. At the end of the novena the Madonna appeared very happy but the most beautiful thing was that together with her there were many Angels, small and large. We have always noticed that when Our Lady arrives with the Angels, if she is sad even the Angels are, but if she is happy their expression of joy is even more intense than that of Our Lady. That time the Angels were very happy. At the time of the apparition, the whole crowd that was with us saw a lot of stars fall and so they seriously believed in the presence of Mary. 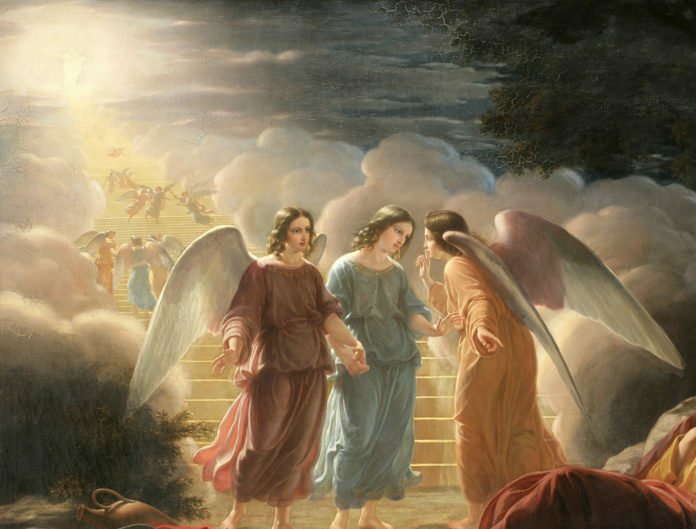 The next day, when we went to the parish, we told the parish priest what had happened, he told us that the day before was the feast of Our Lady of the Angels! Our Lady smiled and replied: “When a friend of yours comes along, you do not mind the time you spend for him”. Then slowly she asked for the Rosary; then the complete Rosary and finally asked us to complete our prayer with the Holy Mass. Our Lady does not oblige us to pray, she invites us to transform our life into prayer, she wants us to live in prayer so that our life becomes a continuous encounter with God. 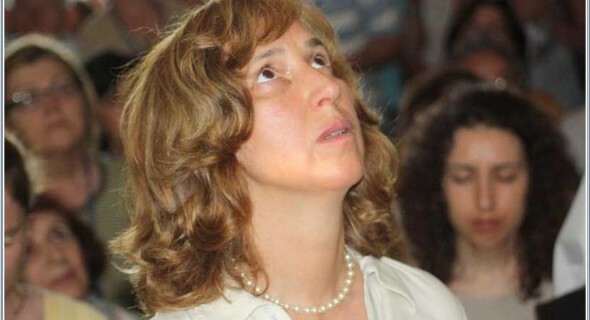 Our Lady calls us to give a joyful witness with our life; for this reason when I speak I try to transmit the joy that I live together with Our Lady, because her presence here in Medjugorje is not a testimony of punishments or sadness, but a testimony of joy and hope. This is why Our Lady appears so long. Once in a message to the parish he said “If need be I will knock at the door of every house, every family.” I see many pilgrims who, returning to their homes, feel this need for conversion; because if I improve my life, it improves the life and the quality of my family and improves the life of the world and we begin to realize what the Holy Scripture asks us, that is to say that each one becomes the light and the salt of the earth. Our Lady calls us in a special way so that each of us begins with all her strength to be her joyous witness. 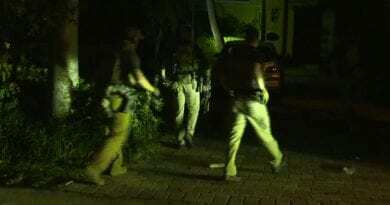 America 2019 -A predawn raid on Roger Stones Home (Leaked to CNN) 17 vehicles move in, 27 FBI agents in full SWAT gear, guns drawn, home surrounded. January 27, 2019 ryanmysticpost Comments Off on America 2019 -A predawn raid on Roger Stones Home (Leaked to CNN) 17 vehicles move in, 27 FBI agents in full SWAT gear, guns drawn, home surrounded. 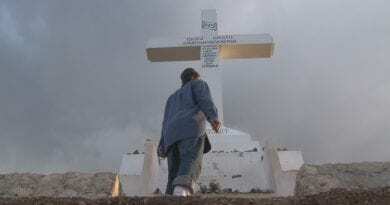 Catholic Prophecy: If You Believe in Fatima Then Pay Attention to Russia…The Rise of Christianity in Russia – Fatima and Medjugorje Connect in Mysterious Way. 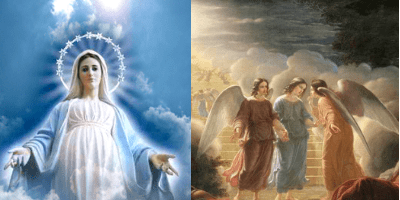 October 15, 2018 ryanmysticpost Comments Off on Catholic Prophecy: If You Believe in Fatima Then Pay Attention to Russia…The Rise of Christianity in Russia – Fatima and Medjugorje Connect in Mysterious Way. Of Penguins and Pilgrims …Why the Mystic Post Penguin? July 3, 2018 ryanmysticpost Comments Off on Of Penguins and Pilgrims …Why the Mystic Post Penguin? Putin warns then Russian TV lists nuclear targets in U.S. Hypersonic missiles target White House, Florida. February 25, 2019 ryanmysticpost Comments Off on Putin warns then Russian TV lists nuclear targets in U.S. Hypersonic missiles target White House, Florida.